I’m so excited to be participating in my first ever Blogger’s Quilt Festival over at Amy’s Creative Side. 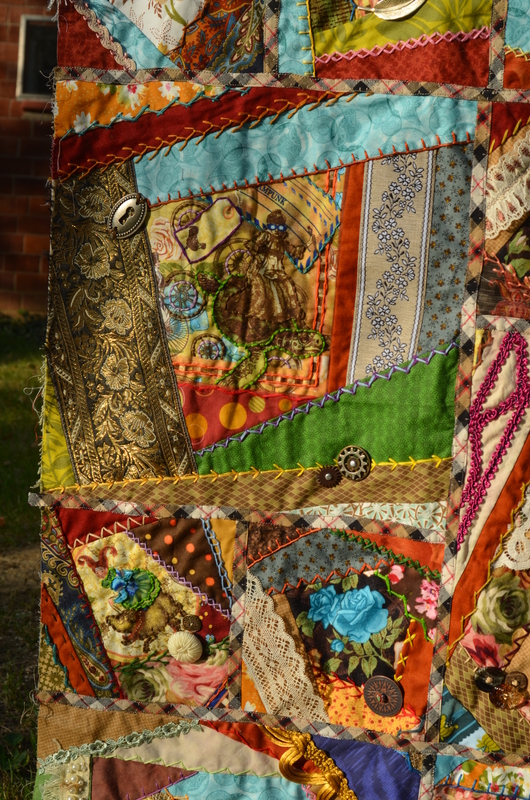 For my very first entry in this show and competition, I have chosen my Steampunk Crazy Quilt, which is my take on the traditional crazy quilt. 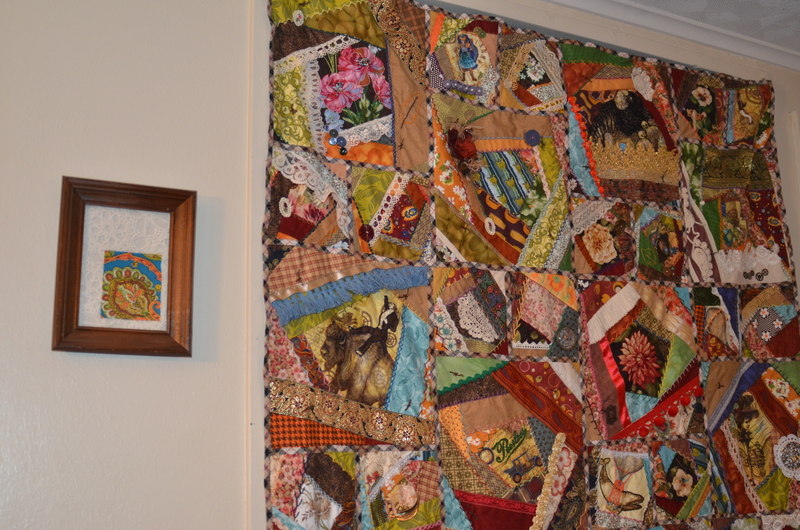 The quilt hangs on the wall in my living room, making me happy every time I look at it. It is the best example of my vision of art and design. I’ll warn you now that this post is VERY picture heavy. 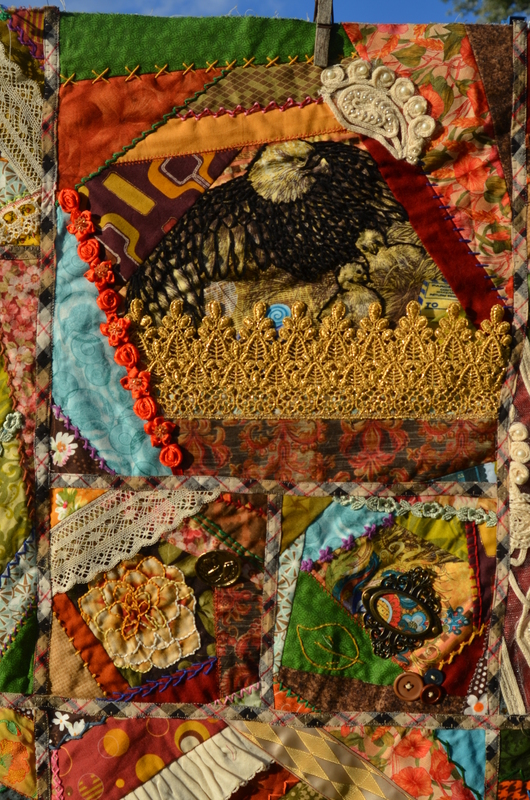 I love all the details in this quilt, and I want to be able to share them with you. 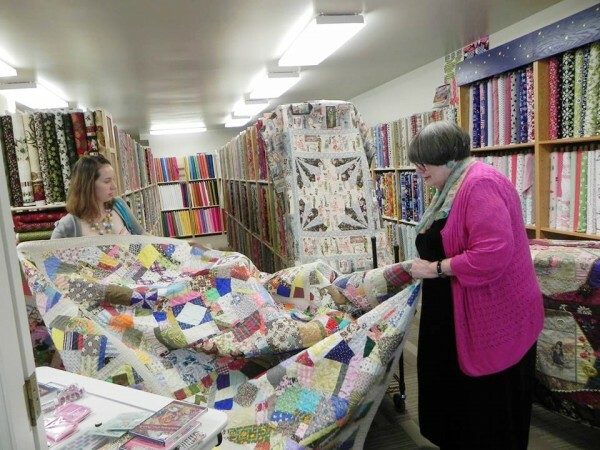 The quilt started with a visit from Gloria McKinnon to my local quilt shop. 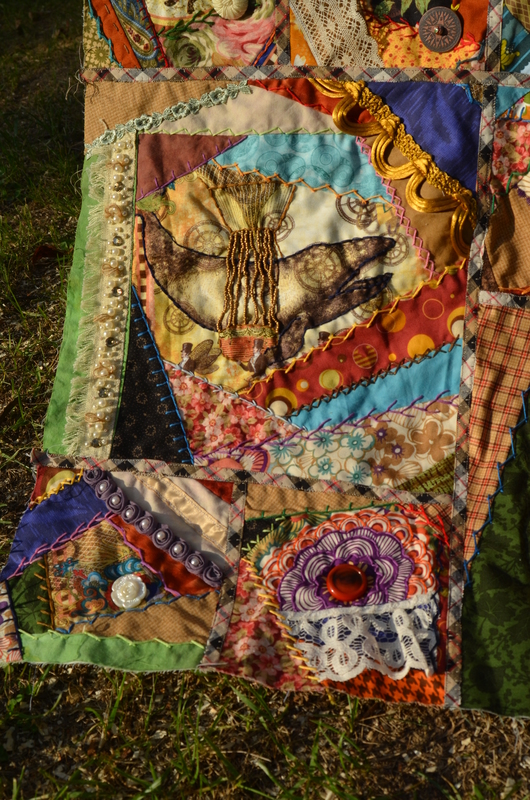 She is a fabulous artist, making beautiful crazy patch designed quilts. 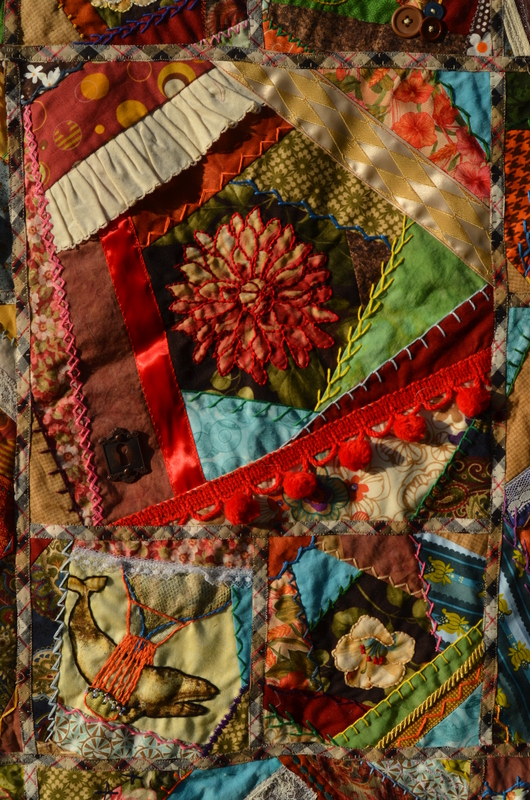 I had made a couple variations on a crazy quilt in the past, but she pushed me to give the detail work of traditional style crazy quilting a chance. With Gloria’s work as inspiration, I started looking for the perfect fabric to inspire my quilt. 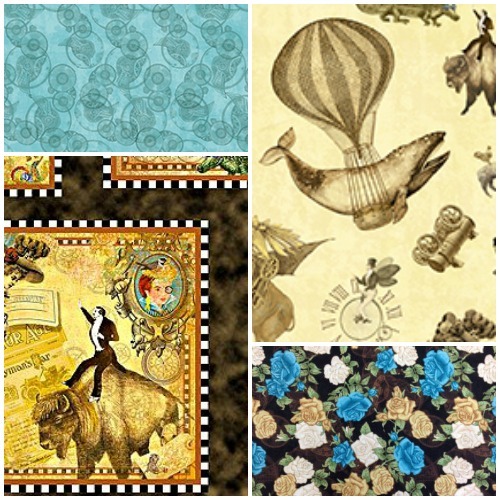 That’s when I came across the Victorian Dream line of by Roberta Morales for Quilting Treasures. The line spoke to my love of Steampunk and was the perfect base for embellishments. I had my start. 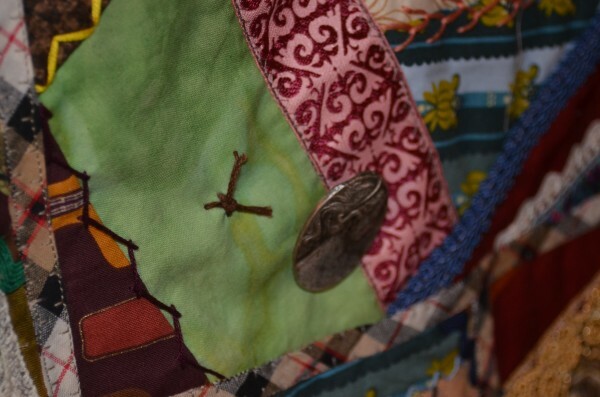 From there, I began pulling fabrics from my scraps and stash that matched the color theme, along with loads of embellishments from buttons and ribbons, the metal gears originally intended for scrapbooking. I designed my quilt to have 2 block sizes, 12 and 6-inches. 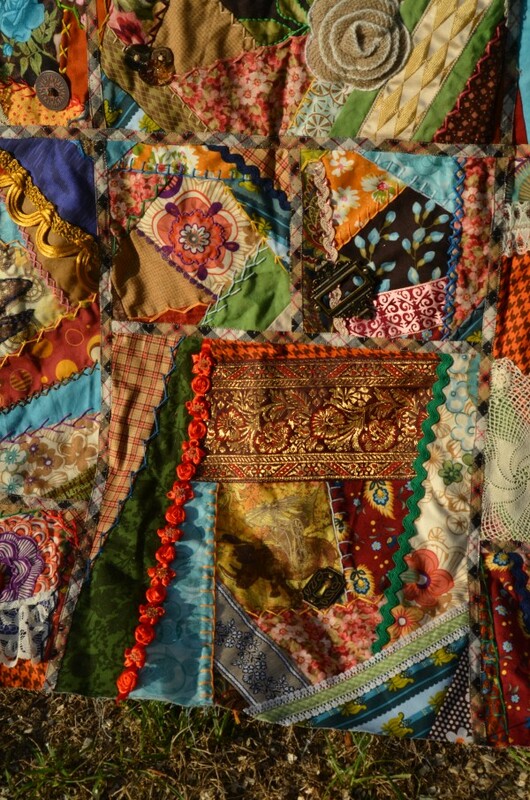 Each row of the quilt would have four 12-inch blocks and eight 6-inch blocks, offset from one another. 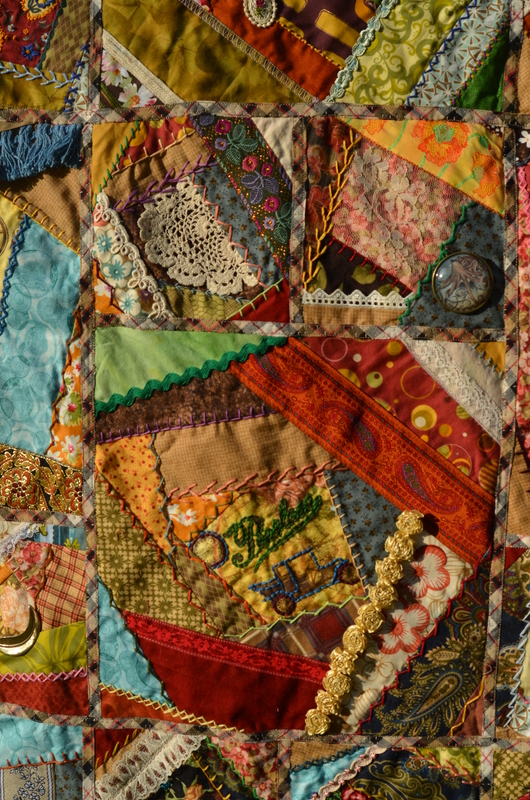 I built the quilt in block sets, piecing together one of the 12-inch and two of the 6-inch blocks, adding the ribbon and lace by machine before sewing the blocks together for hand work. 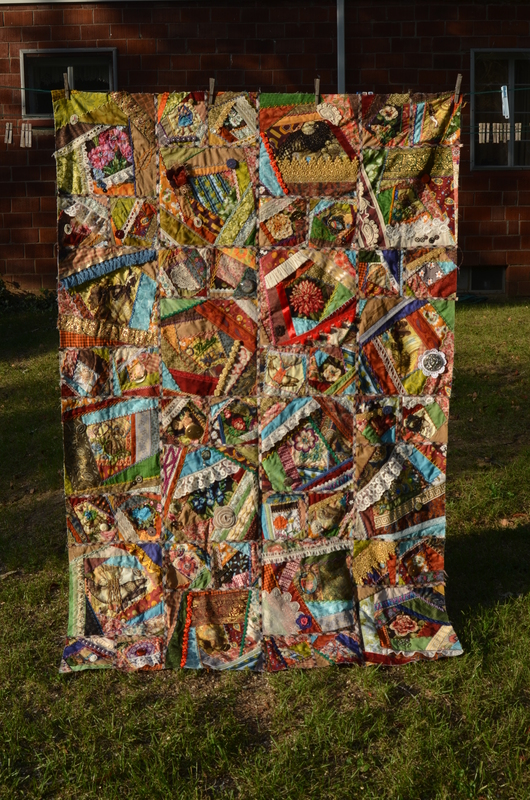 The finished quilt measures approximately 72×48-inches. 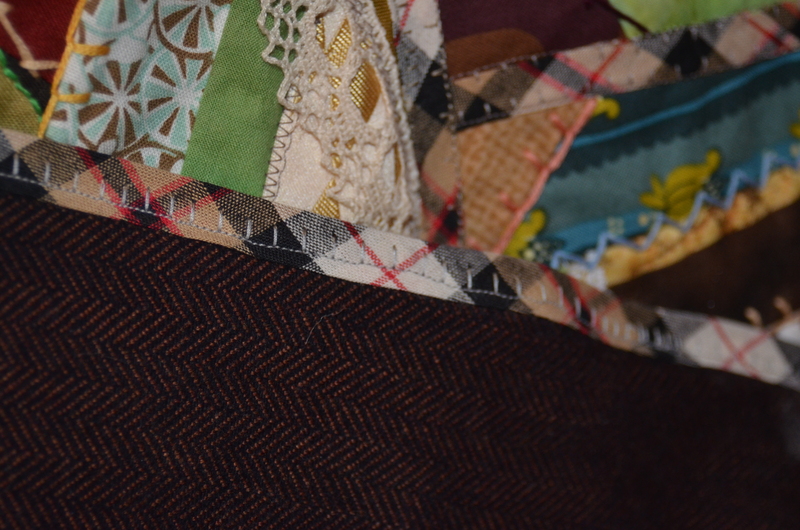 I backed the quilt in a wool herringbone, and hand tied the quilt with brown yarn. The quilt took 170+ hours to complete over a 2 month period, but I think it was completely worth it. 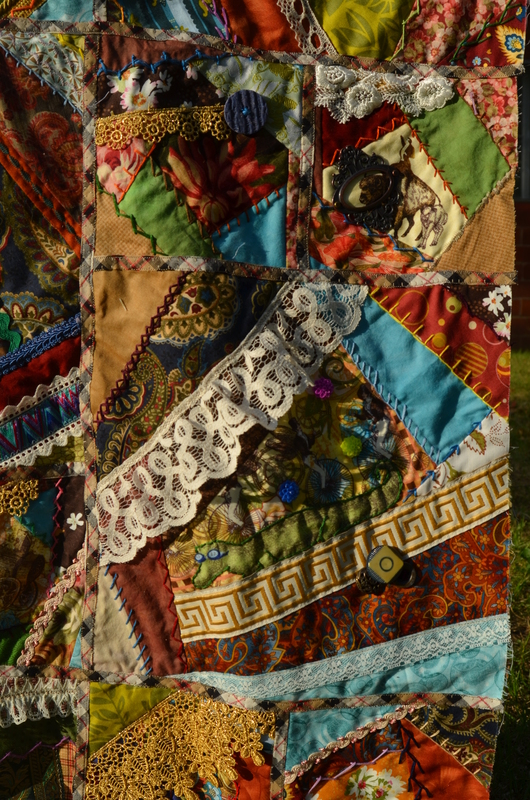 Thanks so much for stopping by to see my quilt! If you’d like to know more about this quilt or my process, feel free to leave a comment or question! I’d love to hear from you. Oh my goodness! That is absolutely gorgeous!!!! 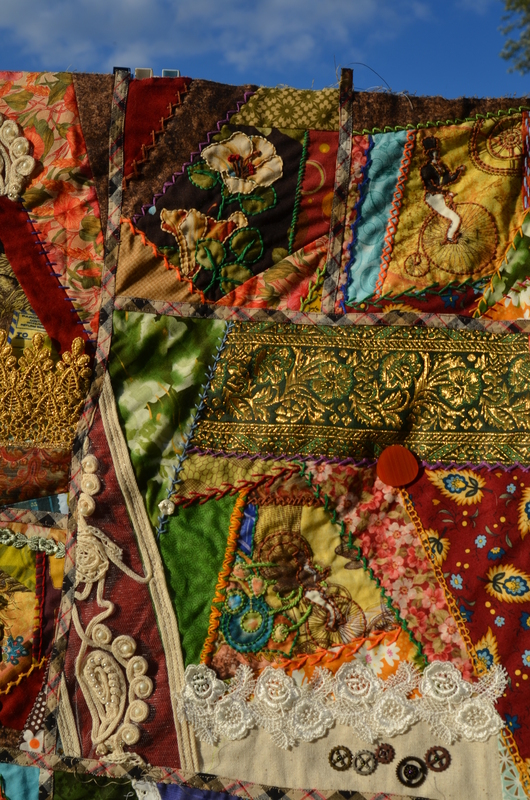 The patchwork is lovely in and of itself, but the embellishments make it a true treasure! Thanks so much, Paula! I can’t wait to link this up to the quilt festival tomorrow. I’m sure that there will be much more amazing work than mine in the competition, but it’s the first time I’ve entered a quilt in anything that wasn’t the local county fair. 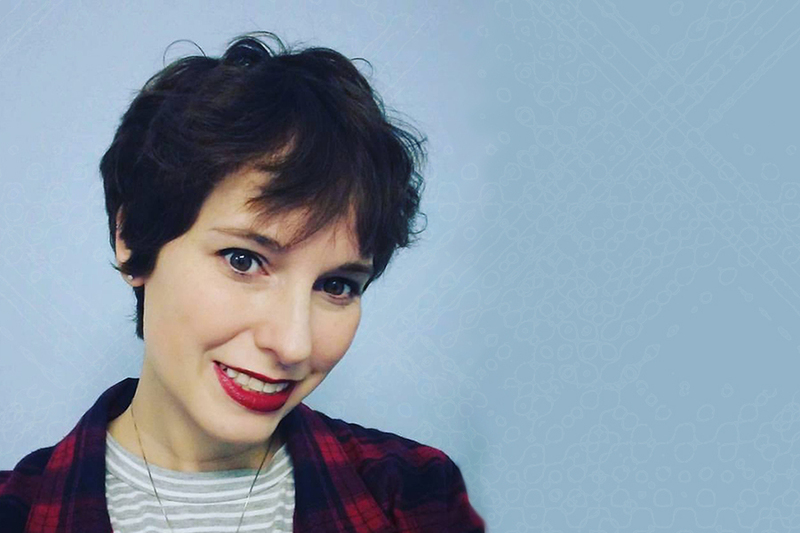 Thanks so much, Chrissie! I’m really looking forward to seeing all the other entries. I know they will inspire me. Oh. My. Goodness. 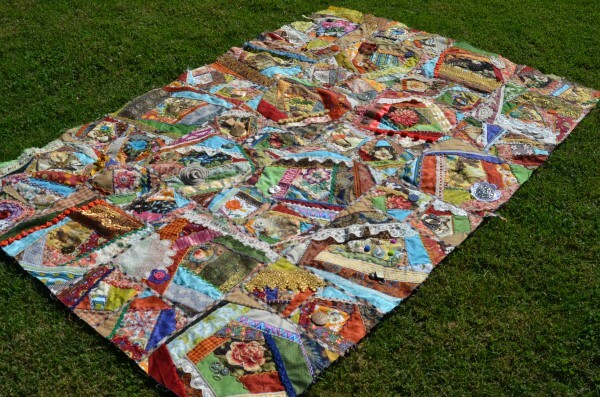 What a rich, lovely, delicious quilt!! Remember I found your blog looking for good crazy-quilt instructions, well this is living proof the technique works!! My efforts will def. sing small next to that marvel!! I never could learn to embroider, so I will have to skip that part. Unless I machine-embroider (never tried it) and I never cared for the look of standard sewing-machine embroidery. I’ll have to just enjoy the patches themselves. 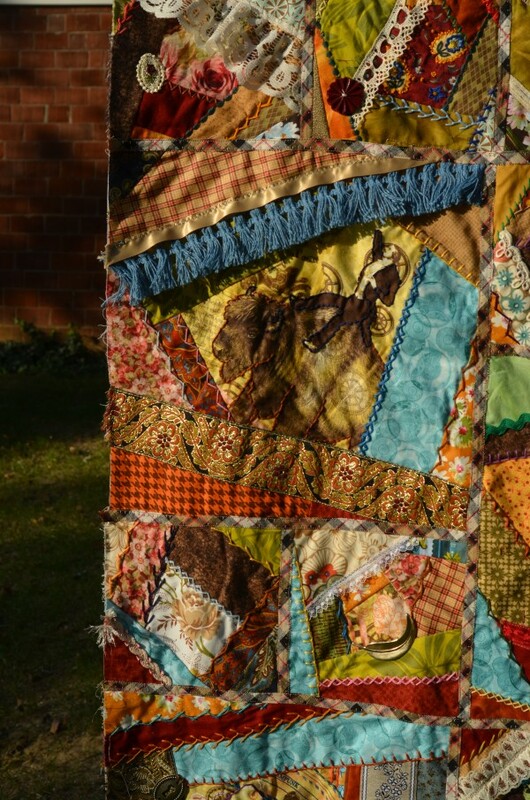 Oh dear, oh my–what a lovely quilt!! Genuflexions. Remember that ribbons and lace can do a lot by themselves. If you incorporate some of them, I think you will be really pleased with the look. And most of my embroidery is VERY simple, things like X’s and blanket stitches. You can totally do that, if you have some time to sit with the quilt on your lap. 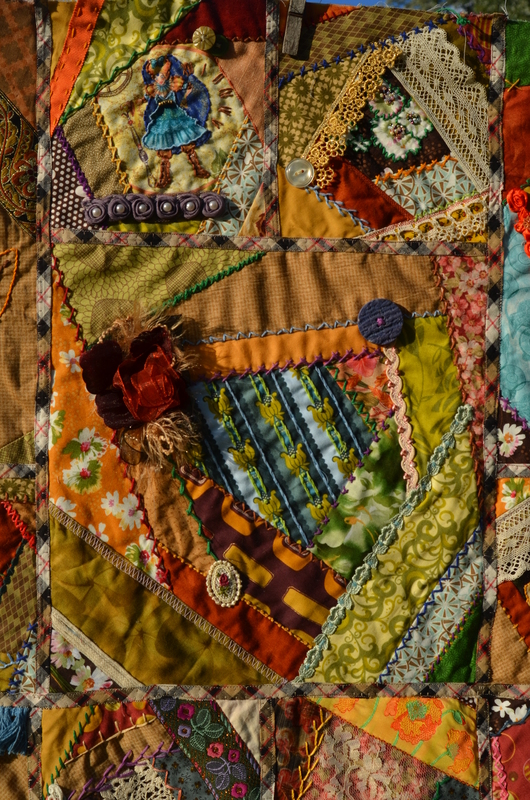 Either way, though, I’m sure that your crazy quilt will look amazing. Hi!!!! Your quilt if wonderful!!!! All the work and detail are beautiful!!!! Beautiful workmanship! It reminds me of a old gypsy caravan. Thanks so much for stopping by! I love that comparison. I’ll have to keep that in mind. Gorgeous! Truly lovely and so many wonderful details. Definitely worth the many hours you spent working on it! Thanks so much for stopping by Kim. It was an enjoyable process for me, even if I’m not the biggest fan of hand work. 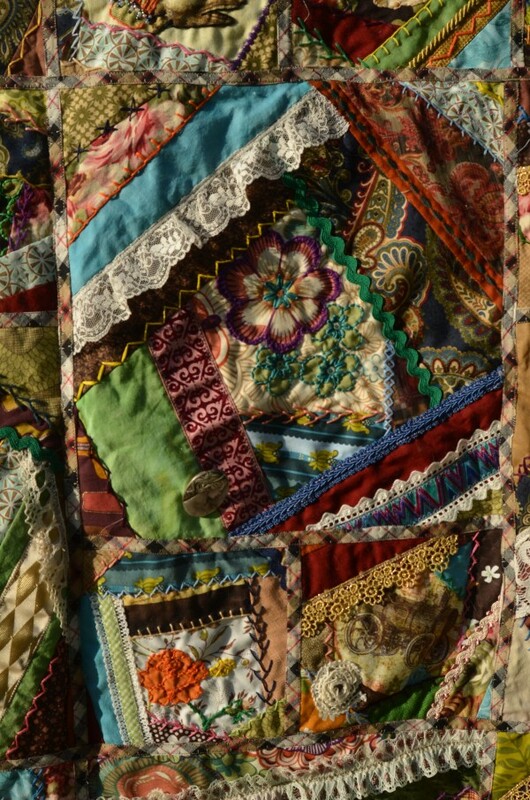 An honest to God crazy quilt. It’s magnificent! What wonderful work. Thanks so much! I’ve got another Christmas themed one in my UFO pile. I should probably get it out soon. 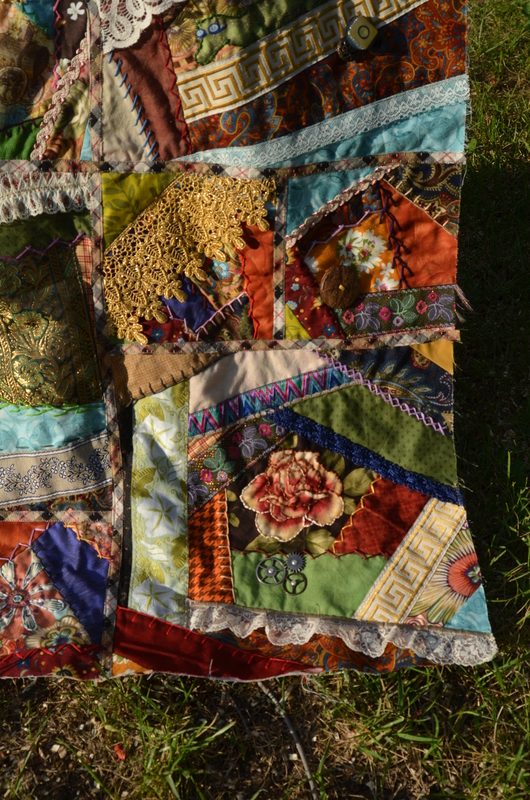 Your quilt is wonderful with such rich colors and many hours put into it. Thanks so much Vickie! I appreciate you stopping by. Thanks so much Teje! 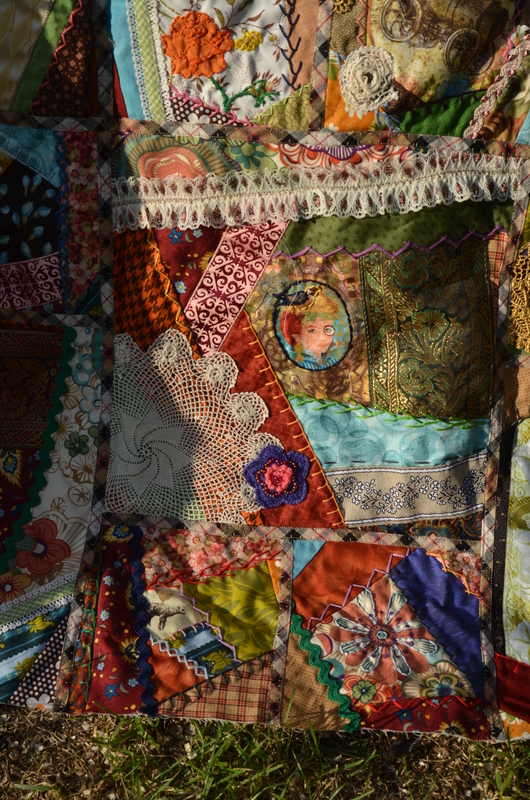 I definitely did enjoy making the quilt, though there were a few times I wanted to pull my hair out. Thanks so very much! I’m really happy with how it turned out. What an awesome quilt! I love it. 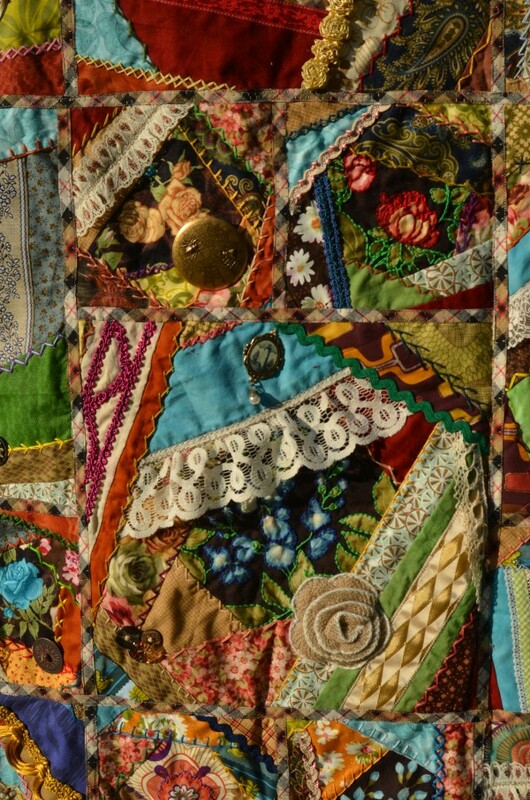 Someday I want to do a crazy quilt as well. You can totally do it! And the hand work is great for nights in front of the tv. What an incredible “crazy good” quilt! Love, love, love all the close up photos. Really gives you a chance to appreciate all the little details that have gone into this amazing piece. Tied with yarn was a good call. How else could this have been quilted? Good luck in the festival, Andrea. It’s a winner! Thanks so much Lorna! 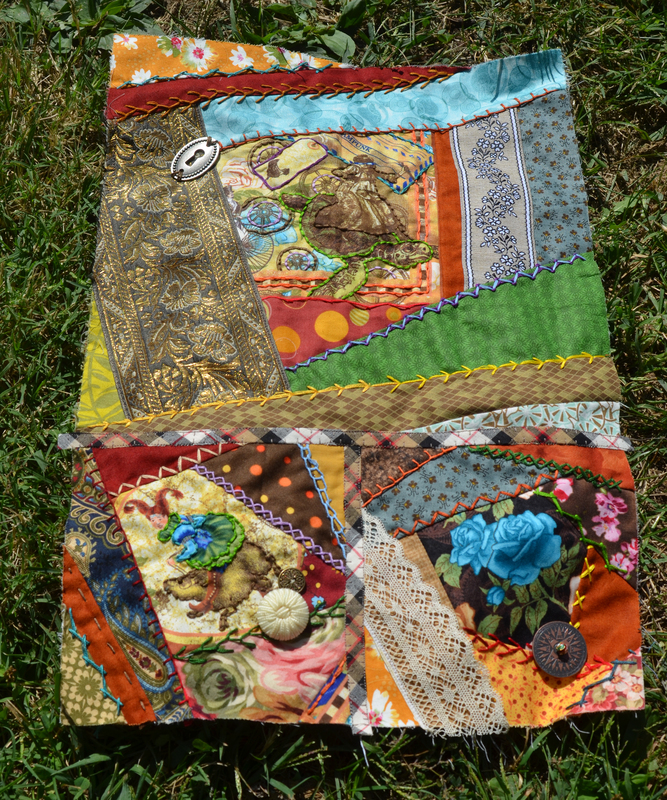 I tried to send it to a longarm quilter to be tacked, but no one I could find was willing to take it. They were afraid of hurting their machines. Oh Andrea, this is truly the funniest crazy quilt I’ve seen! I love that it hangs in your livingroom and that it has so many memories. 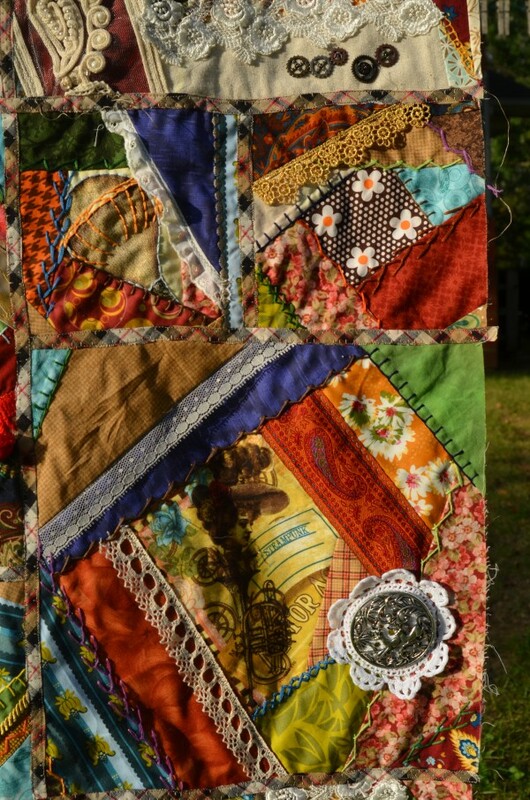 This was the perfect post to rejuvenate under our Tuesday Archive Crazy Quilt theme!! THANKS!!! Thanks so much Valerie! Now, I just need to get my Christmas themed one done before Christmas rolls around again this year. This is lovely. 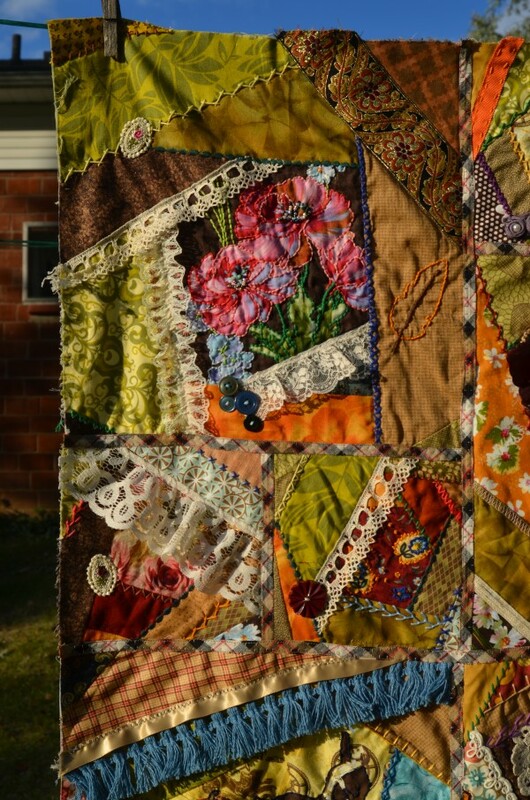 I am inspired to try to make a small wall hanging using much of my ribbon, lace, etc. that I have collected for many years. Thanks. I’m so glad that my work could be an inspiration to someone else. Working with embellishments always makes for a beautiful project.